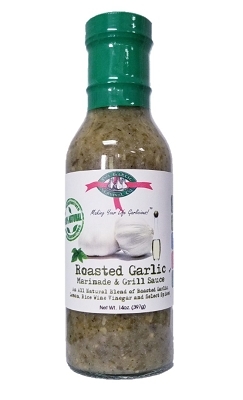 Finally fish have a reason to swim upstream! 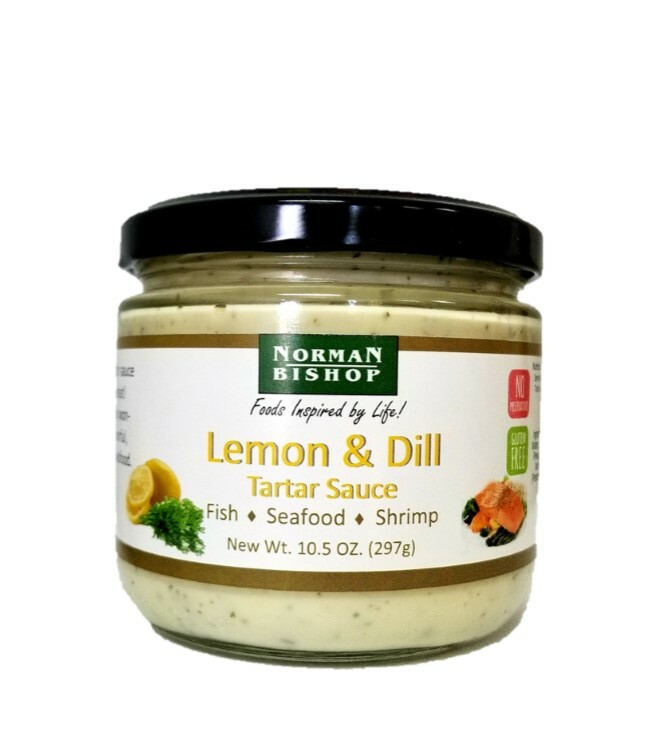 What's better with seafood than the tart flavor of lemon married with fresh dill? 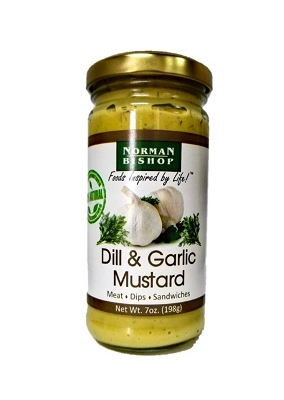 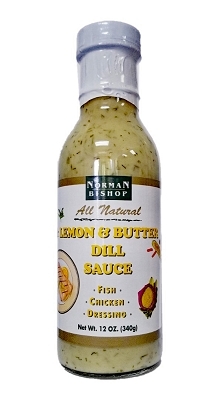 Well, Norman Bishop Lemon & Dill Tartar Sauce is one of our best selling. 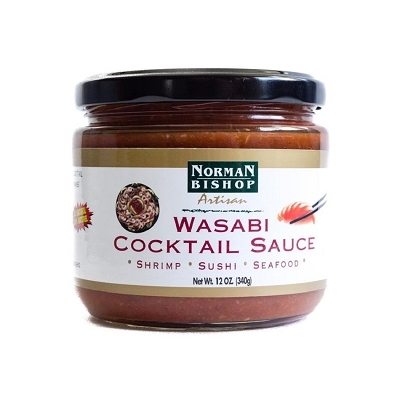 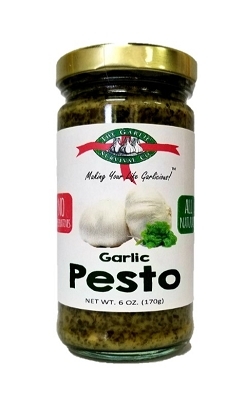 Delicious with all seafood but especially white fish and salmon. 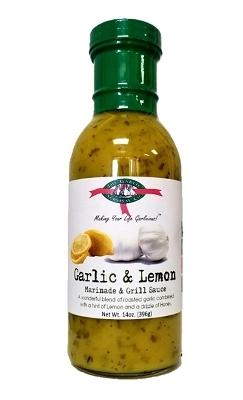 Ingredients: Canola Oil, Cucumbers, Vinegars (White, Distilled, Rice), Water, Eggs, Sugar, Salt, Fruit Juice Concentrates (Pear, Apple, Peach), Pineapple Syrup, Onions, Lemon Juice, Skim Milk Solids, Citric Acid, Xanthan Gum (Natural Stabilizer), Spices, Natural Flavors, Dill Weed, Natural Vit. 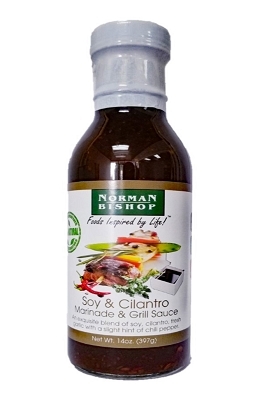 E (Protects Flavor), Peach Puree, Garlic, Red Bell Peppers, Celery Seed.